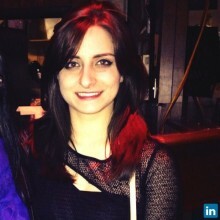 Temple University August 2013 graduate, living in the NYC area and working in b2b PR tech. Why paddle across a lake when you can sail across an ocean? • Write press releases, pitches, briefing documents and media audits for pitching and discovery. • Pitch media and research opportunities to obtain coverage in tech trade publications and top tier business publications. • Research and compile media lists, weekly reports, and speaking opportunities. • Continually develop and present creative pitch ideas for clients. • Support account teams by participating regularly and actively in client and team meetings, brainstorms, writing value-added email and status updates about account activities to clients. • Own speaking, events and editorial calendar opportunities for clients. • Respond in a timely and professional manner to client requests or needs. • Draft press releases, pitches and briefing documents to pitch. • Obtain regular high quality coverage in tech trade publications and top tier (ex. Fast Company, Mashable) publications. • Coordinate analyst and media briefings (ex. IDC, Forrester, 451), resulting in coverage and research participation. • Media monitor for coverage and initiate active pitching opportunities. • Own and coordinate all client administrative projects. Part-time Brand Ambassador for the new beverage Perk! • Manage and run on-the-ground promotions in retail stores. • Sell the brand attributes to the public. • Developed and executed strategies to penetrate new markets, attract and retain customers. • Prepared and hosted industry wide conventions and events including Globalcon hosting over 200 vendors. • Researched and presented new data on market gas trends and initiatives. • Assist account executive in three major public relations campaigns to obtain coverage in all three major Temple University media outlets. • Edit and review account team members assignments before submitting to the account executive, including strategic plans for the client. • Guide five account members through their experience in the firm serving as a person of contact. • Developed extensive media lists through industry research and use of CisionPoint for clients. • Measured social media impact for clients. • Drafted press releases and media alerts to assist in pitching to the media. • Maintained clip reports of clients, organized press clippings. • Assisted in the organization and success of events on behalf of clients. • Guest-blogged for the PRowl Public Relations blog ranked number 15 in a list of the top 50 blogs for the PR major and receives on average 8,000 views a month. • Conducted extensive qualitative and quantitative research and assisted with the writing for the creation of a comprehensive strategic communications plan for Visit Bucks County. • Analyzed market trends in the tourism and hospitality industry nation-wide including nightlight and entertainment, farmer’s markets, 5k’s and bed and breakfasts for Visit Bucks. • Created a database of over 100 local, regional and national bloggers from five target sectors, ranking them in level of influence and reach to assist Visit Bucks with the development of blogger relations. • Conducted 350 surveys and held five focus groups to gather qualitative and quantitative research for Temple University Communications regarding their social media. • Generated strategies and tactics for Temple University Communications to implement to help achieve their goal of doubling the number of users on Facebook while better integrating their efforts into overall office communications. • Created pitch emails and concentration flyers for the Strategic Communication Department. • Produced weekly social media content for Facebook and Twitter accounts. • Brainstormed and planned three highly attended major networking, social and educational events for students. • Pulled product samples at the request of major magazine outlets for features. • Kept a detailed list of sample traffic, checking products in and out for four months. • Created two quarterly trend style reports for summer to be sent to the entire company. • Drafted new product media pitches for Fall and Winter 2012. • Assisted in event planning including the Spring 2013 preview party and May Market Week. • Assisted the Marketing Coordinator and Advertising Director with planning PW sponsored events and expediting contests and giveaways. Created media kits and edited account inserts. • Updated the event portion of PW website, PW social media accounts using HootSuite and maintained the weekly eNewsletter.